Group of Linguistic Studies in the Northeast (Grupo de Estudos Linguísticos do Nordeste – GELNE) was founded during a meeting at the Center for Human Sciences, Languages and Arts (Centro de Ciências Humanas, Letras e Artes) at Universidade Federal da Paraíba (Federal University of Paraíba) presided by Prof. Milton Paiva. A general assembly was held to elect the first executive committee of the Group, composed of professors from Paraíba, Rio Grande do Norte, Sergipe, Ceará, Pernambuco, Maranhão, Piauí e Alagoas. Technical assistance also counted on representatives from Mato Grosso, Acre and Minas Gerais. Professor Maria do Socorro Silva de Aragão was elected the first President of the Association and Professor Lynaldo Cavalcanti de Albuquerque, the Dean at the time, was approved as Distinguished Associate. 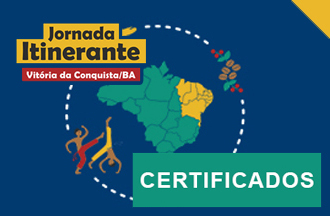 The Journey was held in Campina Grande, Paraíba and focused on the Portuguese Language of Basic Courses as well in the Linguistics Programs of Language majors in Higher Education Institutes in the North and Northeast. As a result, proposals of programs were approved and sent to Language Departments of Universities in these regions immediately after the Journey. Professor Francisco das Chagas Pereira, from Federal University of Rio Grande do Norte (Universidade Federal do Rio Grande do Norte) was the President at the time. After the Journey, GELNE’s first proceedings was published. Projeto Rondon sponsored this edition that held 8 lectures and 2 roundtables. It is likely that the VI and VII Journeys of Linguistic Studies were held in Sobral and Limoeiro do Norte, Ceará. There is no information on the dates, the Group’s president or its members at the time. 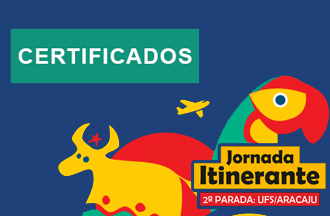 Held in the capital city of Teresina from 3-6 June 1991, for 500 participants, the Journey had as its theme “Linguistics and Literature: theoretical-practical approaches”. For the first time, the Journey was held in Recife, at Federal University of Pernambuco (Universidade Federal de Pernambuco) under the presidency of Professor Luiz Antônio Marcuschi. Under the presidency of Professor PhD Maria Elias Soares, from Federal University of Ceará (Universidade Federal do Ceará), the Association was capable of organizing through partnerships with professors from different institutions in the Northeast, GELNE’s 15th, 16th, 18th and 19th Journeys. The Executive Committee was able to reassure the scientific spirit through the creation of both the 1st Meeting of Language Sciences Applied to Teaching (Encontro das Ciências Aplicadas ao Ensino, ECLAE) and GELNE’s Journal. The Journey presented for the first time an early Program of Work Groups from the National Association of Post-Graduation in Languages and Linguistics (ANPOLL – Associação Nacional de Programas de Pós-Graduação em Letras e Linguística). GELNE’s Executive Committee, still presided by Professor Maria Elias Soares, held the 19th Journey, presenting 11 conferences, 22 short-term courses, 77 sessions of individual presentation (308 presentations), 70 sessions of coordinated presentation, 3 poster sessions (136 presentations) and 17 roundtables (64 presentations). Due to Professor Dermeval’s leadership, a series of academic activities was developed to consolidate the Association such as the print publication of 4 volumes of GELNE’s Journal and the promotion of the 21st Journey. The presence of the Association in João Pessoa was essential to the foundation of the first Post-Graduation in Linguistics in the Northeast, known as PROLING. Professor Denilda Moura takes over the Executive Committee and the Association is transferred to Federal University of Alagoas (Universidade Federal de Alagoas, UFAL) in Maceió. The 3rd Meeting of Language Sciences Applied to Teaching (Encontro das Ciências Aplicadas ao Ensino, ECLAE) takes place in the same year and in 2008, the 22nd Journey was held at that university. Teresina becomes the head office of GELNE’s Executive Committee, presided by professor Maria Auziliadora Bezerra de Lima, from Federal University of Piauí (Universidade Federal do Piauí, UFPI). In 2010, the 23rd Journey was held at UFPI for over 700 participants. Professor Marco Antônio Martins, from Federal University of Rio Grande do Norte (Universidade Federal do Rio Grande do Norte, UFRN), presided the Association in Natal and promoted the 5th Meeting of Language Sciences Applied to Teaching (Encontro das Ciências Aplicadas ao Ensino, ECLAE) as well as the 24th Journey of Linguistic Studies for over 1200 participants. The associate’s data base is digitalized and the Association holds once more in Natal, the 25th Journey. In addition, the book collection Language Sciences Applied to Teaching (Ciências da Linguagem Aplicadas ao Ensino) is published. After 17 years, GELNE’s returns to Recife, to Federal Rural University of Pernambuco (Universidade Federal Rural de Pernambuco, UFRPE) and for the first time the 6th Meeting of Language Sciences Applied to Teaching (Encontro das Ciências Aplicadas ao Ensino, ECLAE) is held in Garanhuns. 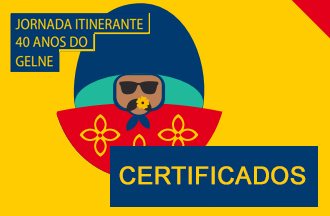 Coordinated by professors Valéria Gomes, Cleber Ataíde, André Pedro da Silva, Emanuel Cordeiro, Sherry Almeida and Thaís Ranieri, the Association creates the first app for advertising GELNE’s events and through a partnership with UFRN, digitalizes GELNE’s Journal, now published on SEER. Graphic Project: Karla Vidal (Pipa Comunicação).